If you are looking for an affordable first home or a solid investment then look no further. This two bedroom apartment offers an easy-care low maintenance lifestyle just a stroll from Merewether Beach and The Junction's vibrant cafes, restaurants and boutiques. * First floor apartment in well maintained complex. * Bright interiors dressed in fresh neutral tones. * Open plan living and dining with N/E facing balcony. 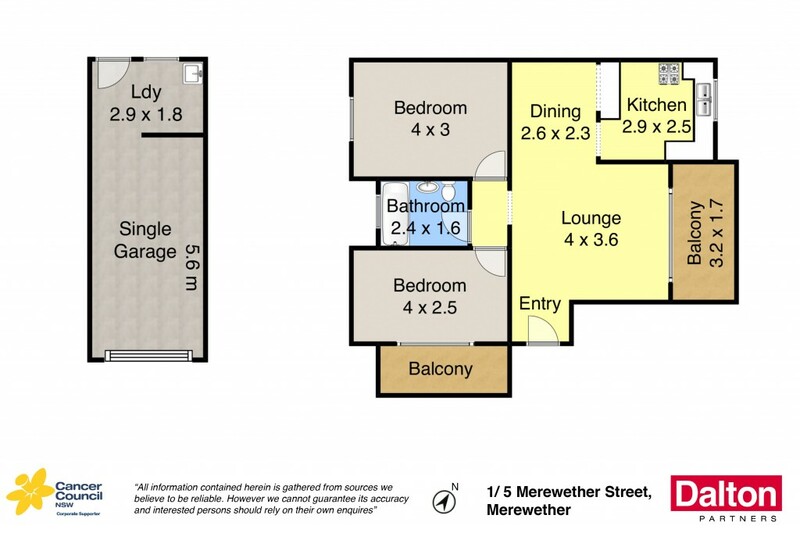 * Generous sized bedrooms, main with balcony. * Well kept original kitchen and bathroom. * Lock up garaging for one vehicle plus laundry. * Affordable buying so close to beach and The Junction. Council Rates: $TBA PA approx. Water Rates: $596 +Usage PA approx. Strata Levies: $661.50 PQ approx. Rental Potential: $360 PW approx.